About two years ago I started on the path to sock making. I have been nothing but delighted with this journey. 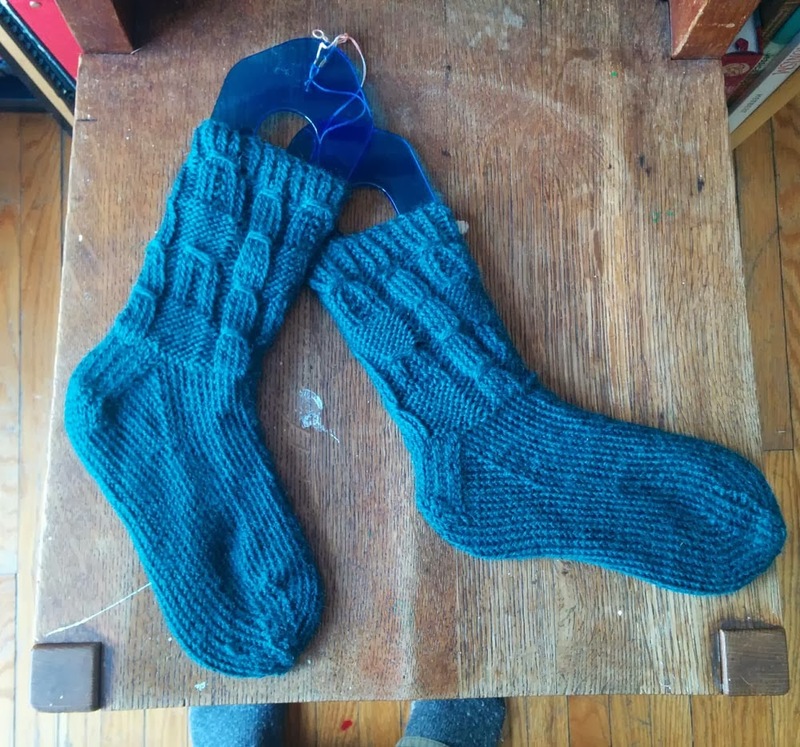 To make a pair of socks is an act of love, not only is it a love of the craft but a love of the person who will wear them because a sock takes time to be perfect and a sock may become damaged through daily wear. In a way, the relationship one has to a hand made sock is similar to the relationship we have with those we might actually make the sock for. Skill and patience apply colour and texture to an object that will inevitably become worn and get a few holes. 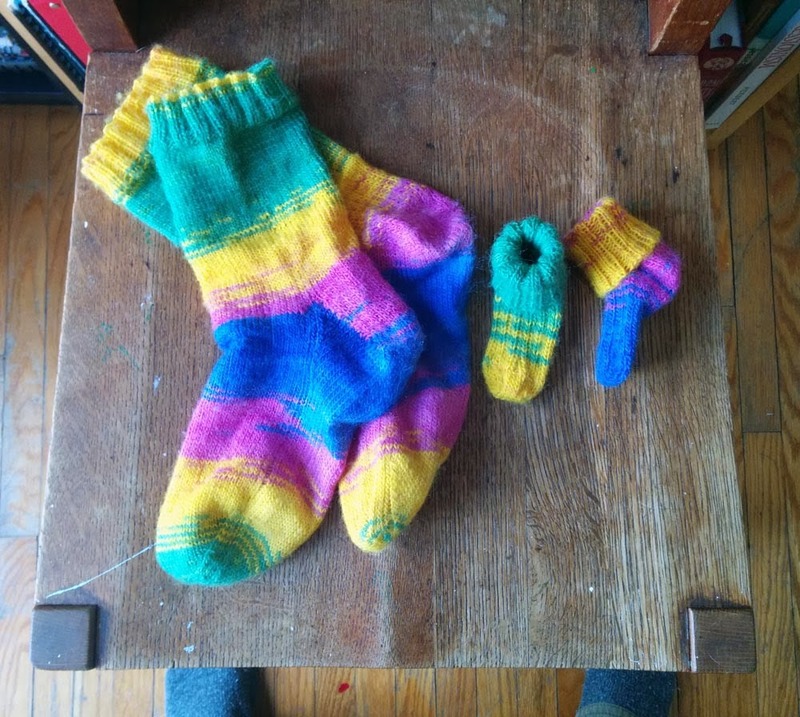 Of course if you care enough about the sock and the wearer of the sock you can repair them by applying the same skill, patience, colour and texture. Making something and keeping it in good repair are life skills and it is in this way that the handmade can become a perpetual act of love. These socks are ones my mum just made for myself and the little person I am building. And these are ones I completed over a weekend spent knitting with my mum. The pattern for the teal coloured socks above can be found in Judy Sumner's book, 'Knitted Socks, East and West'. I highly recommend borrowing or purchasing a copy if you like to treat yourself to a challenge of new techniques.